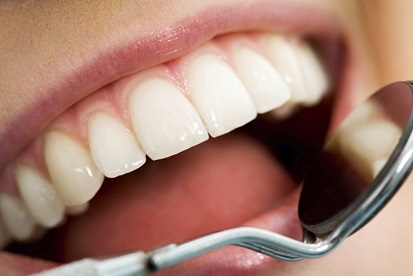 The term teeth whitening means any procedure that whitens the teeth. There are many ways to whiten someone’s teeth. While there are many do-it-yourself products you can buy, it’s a better idea to see a professional dentist at a quality Fort Valley dental office like William L. Toler DMD to discuss your teeth-whitening options. Getting your teeth whitened by an experienced dentist at a high-quality Fort Valley dental office like ours is much safer and effective than purchasing a random do-it-yourself teeth-whitening product and attempting to whiten them on your own. When you pick a random product, you won’t know if it will be effective or if it will be safe to use. When you go to a professional dentist, he or she will be able to make appropriate recommendations after doing a complete evaluation. Not only do your cosmetic goals have to be considered but your oral and overall general health have to be considered as well. Bleaching is one of the most common methods for teeth-whitening, but it uses chemicals and therefore is not appropriate for everyone. If you’re allergic to bleach or are sensitive to chemicals, it would not be a safe option for you. In this case, our dentist could offer a safer alternative that is not available for purchase at a store. One potential alternative is porcelain veneers. Porcelain veneers are usually used for teeth restoration purposes, but they can also be used solely for teeth-whitening. Porcelain veneers are bonded to the front of your teeth and improve the appearance by changing the size, shape and color. If you’re interested in whitening your teeth, you should consult with a professional dentist like ours at William L. Toler DMD. us right now to set up a teeth-whitening consultation.